As medications and medical procedures improve, so too does the average lifespan. While this is undoubtedly a good thing, it does present unique challenges because of the reality that our bodies still slowly shut down over time. As memories fade and mobility decreases, individuals often require specialized care services to help them through their day. At Assisting Hands Home Care, we provide these types of services to those in need in Miami Lakes, FL. From general transportation services to long-term in-home care, we will help you in essentially every situation imaginable. We are able to provide this because of the extensive training of our caregivers, and their dedication to helping our clients as much as possible. When you work with us, you can expect to receive care from individuals who are trained in senior care services, CPR, and first aid. This is all to ensure that you only receive topnotch quality care in your own home. In emergency situations, we can respond within 48 hours. To speak with one of our representatives, simply give us a call at (305) 425-1835. It’s an unfortunate reality that as individuals age, their minds and bodies begin to slow down. At Assisting Hands Home Care, we offer a number of senior home care services that can be tailored to fit your unique needs. From full-time live-in care to part-time memory care, we are more than happy to help. We are proud to offer these services to those in need in Miami Lakes, FL. At Assisting Hands Home Care, we offer the services of highly trained and compassionate caregivers to seniors in Miami Lakes, FL. No matter your unique needs, we can address them through our elderly care services. If you are in need of help around the house, general transportation services, or something similar, we will proudly provide assistance. Building relationships is another key factor to us, so be prepared to make a friend along the way. Seeing a loved one struggle with memory loss is an extraordinarily difficult thing. To do what we can to help, we offer memory care services here at Assisting Hands Home Care. Studies show that mental stimulation, physical activities, and social interaction can slow memory loss in individuals affected by dementia and Alzheimer’s disease. Through our services, we will also help with medication reminders and other day to day tasks. We offer these services to residents of Miami Lakes, FL. At Assisting Hands Home Care, we provide hospice care services to those in need in Miami Lakes, FL. End-of-life services are never easy to discuss, but we encourage you to do so with trusted friends and family members so that you can save any special requests for when that day comes. When it does, we will take these requests into account while we care for you in the comfort of your own home. We provide as much help as you need for as long as you need it. If you live in Miami Lakes, FL, and have just had a surgery that severely limits your mobility, we encourage you to give our Assisting Hands Home Care representatives a call. We provide complete post-operative care services to make the recovery process as easy for you as possible. Whether it is helping with paperwork, providing transportation to and from the doctor’s office, or assisting around the house, we can do it all. At the end of the day, it is our goal to improve your quality and help you make a full recovery. Nights are a risky time for seniors and those with disabilities. To act as a safety net of sorts, we provide overnight care services here at Assisting Hands Home Care to those in need in Miami Lakes, FL. Our caregivers will remain alert through the night to help you get ready for bed, get into and out of bed, use the restroom, and perform similar tasks. If an emergency ever occurs during the night, we will be there to respond rapidly. Many seniors in Miami Lakes, FL, are in need of assistance when it comes to performing daily tasks. To address this, we offer complete live-in care services here at Assisting Hands Home Care. No matter your unique needs, our highly trained caregivers can address them. We give you the option to have one caregiver assigned to your home, or two that rotate throughout the day to provide consistent alert care. Providing elderly care services is difficult enough in its own right; however, these difficulties are much greater when the person you are caring for is a loved one. This is because of how hard it can be to see them struggle with day to day tasks. It is also taxing when you must balance the care services with your career and family. At Assisting Hands Home Care, we offer respite care services to give you a break from providing this care. We offer these services to family caregivers in Miami Lakes, FL. Seniors in Miami Lakes, FL, can count on our Assisting Hands Home Care caregivers to provide effective personal care and companionship. We understand that not all aging individuals cope well with accepting help to accomplish daily tasks. To make the transition easier, we build long-lasting relationships with our clients. Our caregivers truly want to get to know you as they care for you and will participate in a variety of activities to make your day more enjoyable. At Assisting Hands Home Care, we help seniors in Miami Lakes, FL prepare for caregiving services through our coordination of care services. We understand what it takes to provide effective care and we leverage this expertise to customize an appropriate approach for you. If there are certain programs you qualify for (like VA pensions or Medicare), we will utilize them. We can also provide whatever senior care services you may need. Finding a caregiver to provide care for yourself or a loved one can be difficult. In Miami Lakes, FL, residents can either hire an agency or an individual caregiver. At Assisting Hands Home Care, we encourage you to go with an agency. This is because you will not be responsible for hiring/firing an individual caregiver and will not need to handle any last-minute rescheduling. Additionally, all of our caregivers are trained to provide CPR and first aid in addition to a wealth of in-home care services. We can truly address any of your needs thanks to our greater resources. 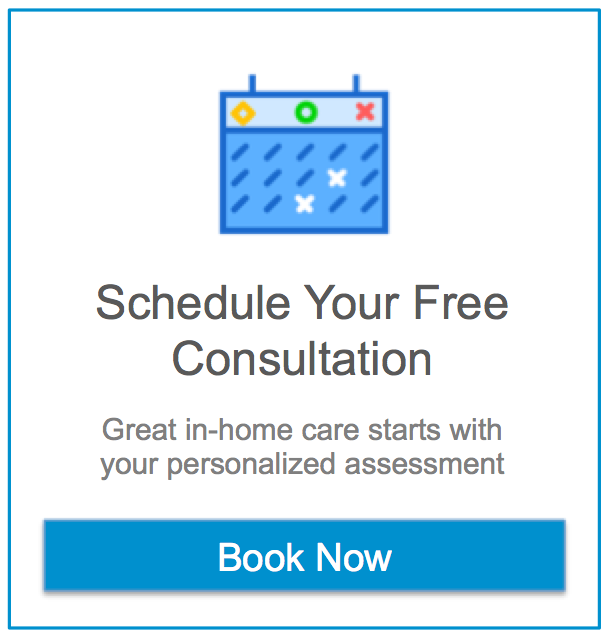 To schedule a free consultation for any of the services in Miami Lakes, FL listed above, please contact Assisting Hands Home Care at (305) 425-1835. We look forward to working with you soon!